Artesania Latina has the best compressors for airbrushes. 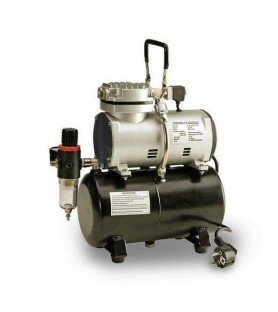 Find airbrush compressors that fit your project. 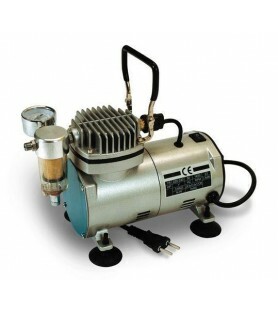 Airbrush compressors are responsible for injecting air into it. 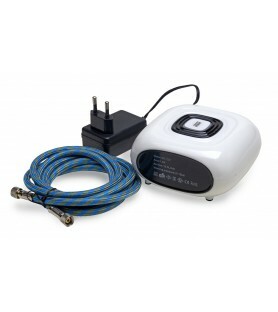 Compressor and airbrush are the basis of airbrushing, if you want to start in this world. Using an airbrush, an airbrush compressor and specific airbrush inks, you can achieve incredible results for airbrush painting and drawing on paper, canvas or modelcrafts. Oil-free piston compressor AS18-2. Compact, portable and very quiet. Specially designed for airbrushing. You can use this compact compressor for airbrushing on advanced tasks, but it is also a compressor for beginners. 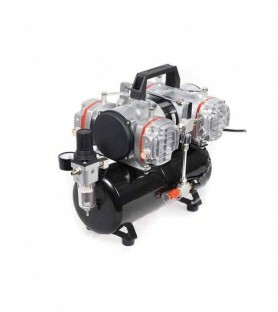 It includes: - Improved quite airbrush compressor type piston. - Air Hose 66.92'' (170 cms). - AC Transformer. - 360º Airbrush holder. - Adjustable pressure: 0.14-1 bar / 2-15 psi.